Starting from the late 1200s, Scotland and England became enemies, and Scotland allied closely with England's enemy France. But tensions eventually cooled, and in 1603 Scotland's King James VI inherited the throne of England (where he became known as James I), paving the way for the two countries' eventual unification. At first, they were still two independent countries that just happened to share the same monarch, but in 1707 their parliaments passed the Acts of Union, controversially joining them together as a single kingdom. Then what is Scotland now? Is Scotland a country? Since the union 300 years ago, Scotland has maintained some separation from England, especially in terms of its legal system and religious institutions. 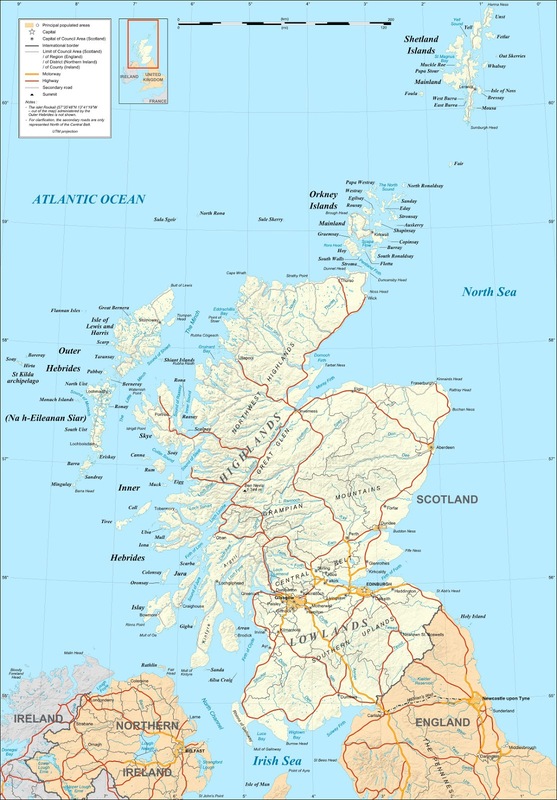 Like England and Wales (and sometimes Northern Ireland), Scotland is still called a "country" today, despite not being an independent country. After the union, the Scottish parliament was merged with the English one in London. But in 1999 Scotland was once again given its own parliament, which eventually came to be dominated by pro-independence parties. Though Scotland and England are just considered parts of the UK in most world organizations like the UN or the European Union, they do have their own national soccer teams that compete separately in official FIFA events such as the World Cup (See: Which Countries Are (and Aren't) Members of FIFA?). The UK won't just let Scotland leave, will it? Actually, it will. True, modern countries rarely let pieces of their territory break off without a fight, and usually don't accept the outcome even if the separatists come out victorious. And even in highly democratic Western Europe, other would-be breakaways like Catalonia face daunting legal obstacles in their quests for independence. But the UK has come a long way since the American Revolution, and since the 20th century decolonization of the British Empire it's become relatively supportive of self-determination (the right of peoples to govern themselves). That's not to say London wants Scotland to go. The British government did agree to allow Scotland's independence referendum, but is campaigning doggedly for a "no" vote. In a very rare show of unity, all three of the UK's major political parties have joined in the "Better Together" campaign to talk Scotland out of secession. Nevertheless, the British government in London has clearly asserted that they'll accept the results of the vote, even if the answer is "yes" to Scottish independence. If it's a "yes", will Scotland become independent right away? No, it will stay part of the UK for a little bit longer. The Scottish and British governments will need months or years to negotiate the exact terms of separation, such as "the allocation of assets and liabilities." Last year, Scotland's government proposed March 24, 2016 as the date to declare independence if the referendum passes, but it's not set in stone yet. That would be the day after the current Scottish parliament finishes its term in office, and March 24 is also the anniversary of the "Union of the Crowns," when King James first became the monarch of both Scotland and England (see history crash course above). What changes will the UK have to make if Scotland leaves? 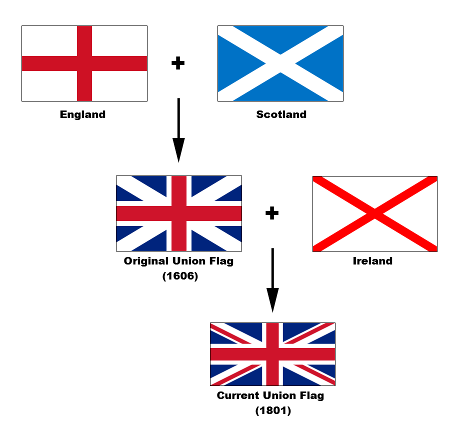 An independent Scotland could keep its current name and flag - ironically, it would be the UK that might have to change. 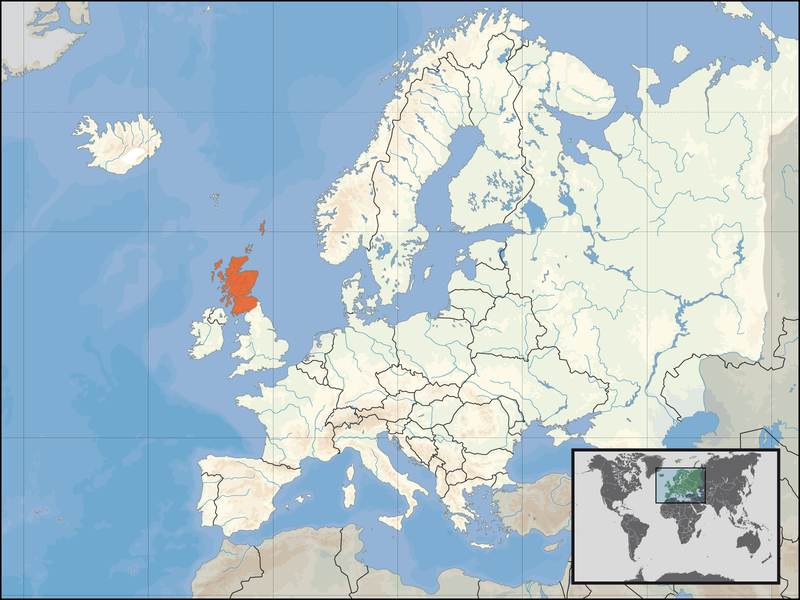 The current full name of the UK is the "United Kingdom of Great Britain and Northern Ireland", and without Scotland it would only have control over two-thirds of Great Britain. But even if the UK decides to let that one fly, it will probably still have to change its iconic "Union Jack" flag. The blue background and diagonal white bars of that flag are actually the flag of Scotland, a design known as the St. Andrew's Cross. Flag enthusiasts are already proposing new designs, many making a point of adding a symbol for Wales, which was left out of the current flag because it was considered part of England at the time the banner was designed. Will Scotland stay in the EU, NATO, and other important organizations? Not automatically, in most cases. It will have to re-apply as a new member country for most organizations. The United Nations will probably accept an independent Scotland as long as Britain doesn't object, though Scotland will have to give up the veto power that the UK gets as a member of the UN Security Council. The European Union could be more complicated. It's technically possible for the EU to keep an independent Scotland in the organization without making it reapply, but there's a hot debate over whether that would really happen. Meanwhile, if Scotland applies anew to the EU, there's a chance it could face a veto from Spain, which is determined not to let go of its own separatist region, Catalonia. On the other hand, if Scotland votes "no"on Thursday, it could still end up leaving the EU unwillingly - the British government is planning a 2017 referendum on whether the whole UK should leave the European body. Most Scottish people want to stay in the EU, but they could be outnumbered at the polls by euroskeptics to their south. NATO membership for an independent Scotland is also uncertain. The Scottish National Party's anti-nuclear policy could mean the end of the UK Trident program, Britain's only active nuclear weapons system, which is based in Scotland. Though Scotland's close relationship to other members would seem to make its entry into the alliance a sure thing, and there are many NATO member countries without nuclear weapons, some think NATO would be annoyed with an independent Scotland for essentially disarming another member, the UK. What about the Olympics and World Cup? As mentioned earlier, Scotland already has its own FIFA football (soccer) team, but it currently competes in the Olympics as part of Great Britain. Scottish leaders are hopeful that the country can compete independently in the 2016 Olympics in Brazil, but it could be a bit of a rush if it declares independence that same year. But can the queen stay? Scotland's leader, Alex Salmond, says the independent Scotland would keep Queen Elizabeth II as its monarch, making her Queen of Scotland just as she's also the Queen of the United Kingdom and 15 other independent countries. However, it may not be up to him: some political forces in Scotland are pushing for a separate referendum on whether to keep the queen or abolish the monarchy and become a republic. Will all of Scotland go along with independence? Probably, but that wasn't always a given. Three island groups along Scotland's fringes - Orkney, Shetland, and the Outer Hebrides - have been less enthusiastic about independence than many other parts of the country. Earlier this year, a group of islanders tried to organize a second referendum that would allow the island groups to declare their own independence or rejoin the UK if Scotland splits. That plan doesn't seem to have caught on, but the islands' local governments have taken advantage of the controversy to secure extra autonomy (self-rule) regardless of whether Scotland leaves the UK or not. So, what will happen to Scotland if it votes "no"? If the referendum fails, Scotland will stay part of the UK, probably for a long time to come, since the results will be seen as a popular rejection of separation. But that doesn't mean nothing will change. In a bid to dissuade Scottish voters from independence, British political leaders have made strong promises that if Scotland stays in the UK, it will get much greater powers of self-government within Britain than it has now. These would include greater control over its finances, taxation, and possibly welfare, big issues in a region that usually votes for the left-of-center Labour Party, yet often finds itself stuck in a Britain ruled by the opposing Conservatives. What will happen next? Stay tuned to PolGeoNow for more updates on Scottish independence!